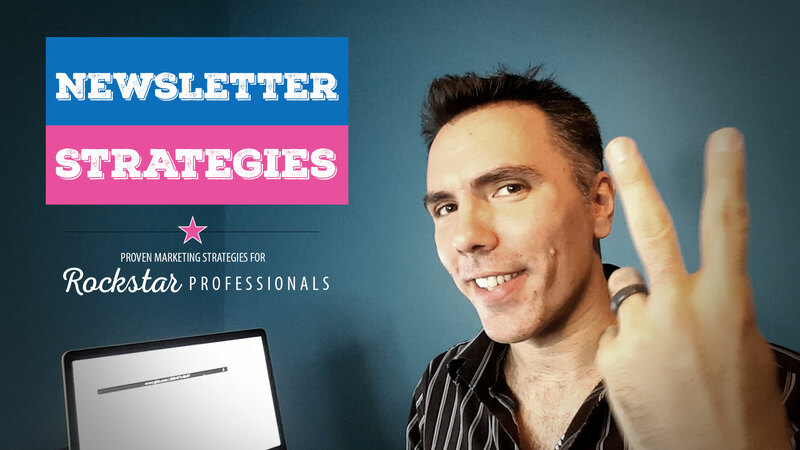 All right guys, so I’m continuing on with talking about newsletters, now you know you need to send a newsletter out to your customers and you know it needs to be consistent and all that jazz. Number one: you have different people in your customer base. Before you send out a newsletter, if you’re not taking time to really segment and understand who your customers are and you are sending just one blanket newsletter out, then you’re missing the mark. It’s important to really understand who your customers are because some of your customers may be frequent buyers, may be frequent customers on a particular product or service, so you want to send information that’s going to be interesting to them and beneficial to them. You may have other people to have different needs in your database so segmenting your list and sending out different newsletters or different eblasts to different people will make a big difference. It’s not all about promotion, it’s a little bit about education, some promotion and also some entertainment if you make your newsletter something entertaining that they people enjoy to read and enjoy to get then you’re going to see much more of an open rate much more click-through rate and you’re gonna get better results overall. Does that make sense? Consider doing a physical mailed newsletter. What??? A physical mailed newsletter! Why would you do that when we have technology that you can easily just email people? Well here’s the thing it could be costly but it also could be a great investment. If you send just the email you can see email open rates are very small. A good percentage is in the teens or the 20s yeah and they’re only continuing to get worse because more and more people are emailing more and more people are getting so much email they don’t even have time to open anymore. Right? Once upon a time decades ago they used to be this thing called AOL and when people would get an email this little chime would come on “You’ve got mail” and people would be so excited “oh I’ve got email!” Does that even happen anymore? No! People are not looking for emails. They get irritated by them so unless your email is interesting or providing great value chances are they’re not going to be doing a lot. In regards to the physical email, when you give something put it in someone’s hands and you really take time to craft it and provide value make it entertaining and have a call to action right and that can be very powerful because it’s actually getting in someone’s hands. Now if it’s just junk mail, if it’s just like a little flyer and it doesn’t really have anything of interest to the person you’re sending it to, then goes in the junk mail. But if you actually take time to think about how you can provide value to your customers and maybe we don’t send it to all your customers but maybe you send it to a segment and then see what the results are. Because chances are you can get really good return from doing this. This example in this strategy guide talks about a woman who invested twenty four dollars and got four thousand dollars just from taking the time to regularly invest and connecting with her customers. If you want the referenced strategy guide make sure that you download it look over all these strategies and then actually take time to implement them in your business. If you have any questions or feedback I’d love to hear in the comments. Thank you!